Now I am determined to get a WW1 SMLE from 1915/16 I would like to be looking out for the correct bayonet. Being new to this whole game, excuse me if the answer is obvious, but are these generally date stamped with or without regimental markings? IIRC its maker & date. I may as well just email you. Lol. You seem to answer my every post. I have been offered this but there is no point if it is not contemporary to the SMLE I am after. Being retired I just lurk here waiting for prey! Bayonets aren't really my strong point (excuse the pun). Sounds like a good bayonet to go for, if the price is right. 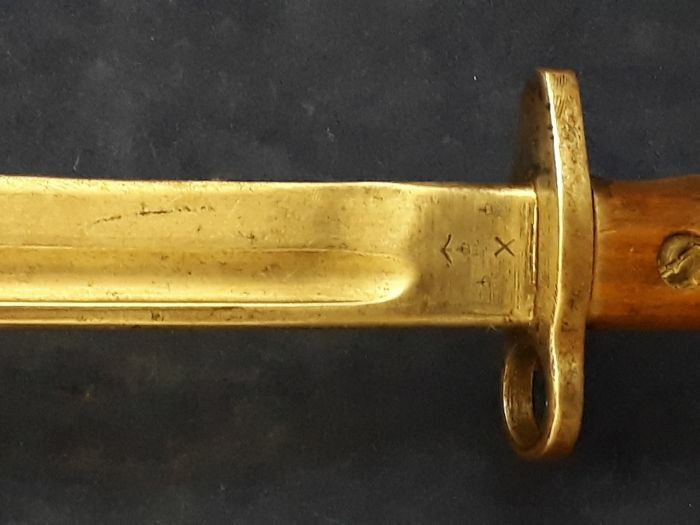 As with many items of kit; bayonet's issued would not necessarily be the same date as the rifle; So as long as it's the correct type and era; should be OK. I will post some photos for your perusal and the price is about £195 as it ia Chapman. ALthough, I have no idea whether this prce is right or not. At that price I'd want it without the file marks on the blade. Why not look for a cheaper Sanderson or Wilkinson bayonet. They are more common so you'll probably find one in better condition for less money. This is a Sanderson from 1917. Yes, you are probably right. I would really like one dated 1915 and it doesn't need to be a Chapman, but in good nick. The sharpening efforts are a bit of a bodge then? Wow. That's some collection you have there. Is that the norm state side? 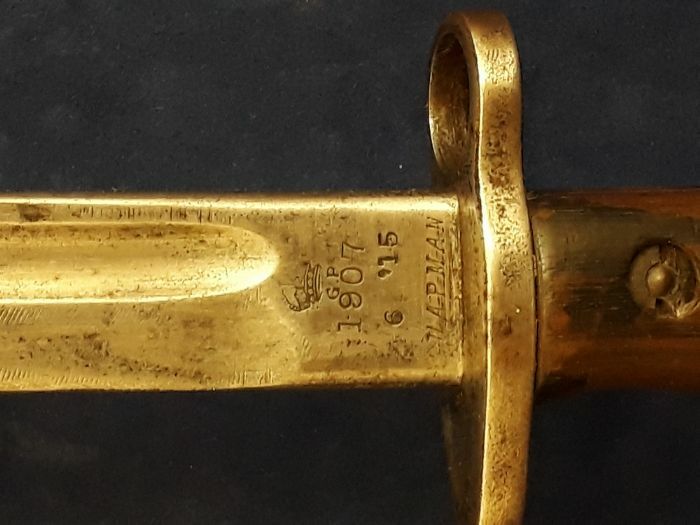 Standard Length Pattern 1907 Bayonets: Manufacturers Markings. My current older guns are my 1790s Brown Bess with musket and 1880s Snider Enfield, again with bayonet. The LE is just next on my list, followed by a Martini Henry. 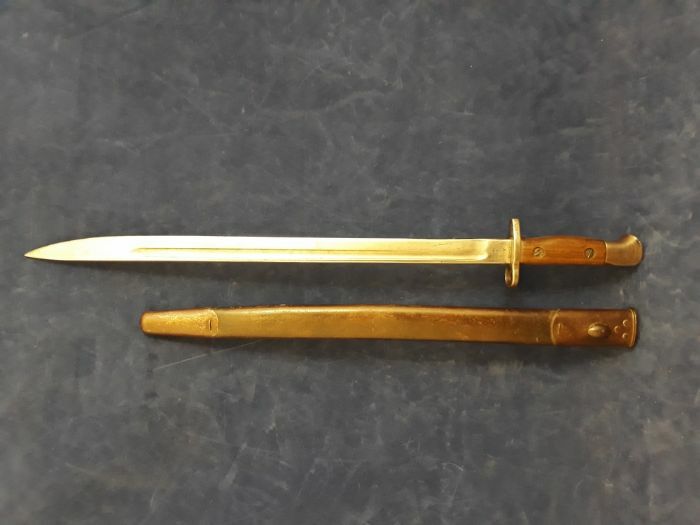 Nice photos of the differing bayonet manufacturers.